Founder and Principal of the Parish Group, Van Parish has over thirty years of experience in electoral campaigns and public affairs. A native Californian, Mr. Parish served as staff and advisor to policymakers at every level of government, from city council to Congress. A graduate of the University of Southern California and the prestigious Coro Fellowship in Public Affairs, Mr. Parish is one of the field’s foremost experts in the design and implementation of voter contact programs. Mr. Parish had his first campaign experience working for the late California Congressman Julian Dixon in 1978. He followed up this experience with an internship in the Carter White House in 1979. In 1982, he served as Alameda County Regional Director for Los Angeles Mayor Tom Bradley’s historic attempt to become California’s first African-American Governor. In 1985, at the age of 26, Van became Political Director of the California Democratic Party, the youngest ever to serve in this capacity and the first African-American. In November 2000, after serving as Northern California Political Director for the California Democratic Party’s Coordinated Campaign, Mr. Parish was asked by Party Chairman Art Torres to serve on a team of six Californians selected to work with the Gore/Lieberman recount effort in Florida. Over the course of 36 days, the California team traveled throughout the state of Florida, training volunteers in recount procedures and overseeing efforts in Miami Dade, Broward and Volusia Counties. It was in Volusia County that the team was lauded for its identification of 98 previously uncounted votes for the Gore/Lieberman ticket. In addition to his extensive California experience, Mr. Parish has worked throughout the country in some of the nation’s most challenging urban environments, including New York, NY, Newark, NJ; Oakland, CA; Chicago, IL; Detroit, MI, and Providence, RI. In 2002 Van managed Cory Booker’s revolutionary campaign for Mayor of Newark that was chronicled in the award winning documentary “Street Fight”. During the 2008 Presidential Primaries, Mr. Parish found himself in South Carolina serving as Deputy GOTV Director for Senator Barack Obama’s historic attempt to become the nation’s first African American nominee of a major party. In this role Van lent his expertise and knowledge to a team made up of seasoned campaign veterans as well as volunteers participating in their first electoral experience..
Mr. Parish has served as an advisor and consultant to candidates for office and elected officials across the country. He has advised political parties, community-based organizations and labor unions. He has developed transition strategies for newly elected officials and administrations. As a community organizer, Mr. Parish’s experience goes beyond electoral campaigns. While Program Director of Working Partnerships USA, a think tank of the South Bay Labor Council, AFL-CIO, Mr. Parish implemented a campaign to provide a children’s health insurance program for uninsured residents in San Jose, CA. 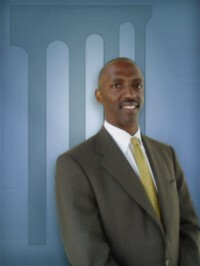 As a consultant with the highly respected Center for Community Change in Washington, DC Mr. Parish worked to strengthen alliances between the African American community and advocates for comprehensive immigration reform. As a trainer, Mr. Parish has introduced and walked numerous individuals through the complex world of public affairs. While Training Director at Coro Northern California, Mr. Parish placed program participants in internships throughout the San Francisco Bay Area, providing them with a unique opportunity to work directly with the region’s key leaders. Whether hosting a panel or facilitating a workshop, The Parish Group has served a diverse client base as panel participants and speakers. Some of these clients include the National Association of Latino Elected Officials (NALEO), the California Democratic Party, Coro National Alumni Association, Working Ventures Institute, and Black American Political Action Committee. With his exceptional background and experiences, Van Parish and The Parish Group are well positioned to meet your public affairs needs.